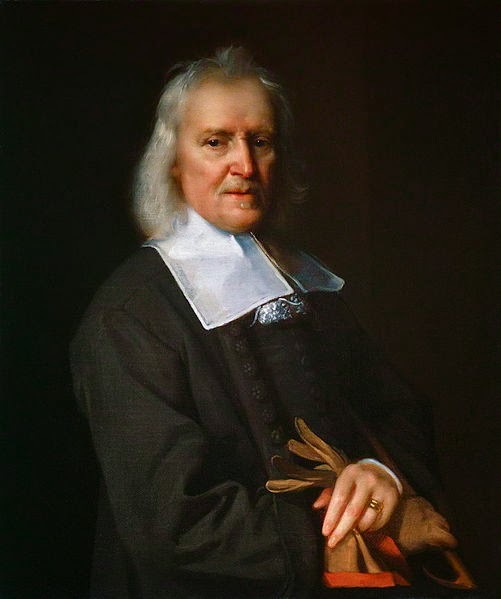 Izaak Walton (1593–1683). The Lives of John Donne and George Herbert. Isaak Walton, famed patron of fishermen, appreciated other arts and hobbies. He writes of George Herbert, a preacher whose hobby was poetry. GEORGE HERBERT was born the third day of April, in the year of our redemption 1593. The place of his birth was near to the town of Montgomery, and in that castle that did then bear the name of that town and county; that castle was then a place of state and strength, and had been successively happy in the family of the Herberts, who had long possessed it; and with it, a plentiful estate, and hearts as liberal to their poor neighbours. A family that hath been blessed with men of remarkable wisdom, and a willingness to serve their country, and, indeed, to do good to all mankind; for which they are eminent: But alas! this family did in the late rebellion suffer extremely in their estates; and the heirs of that castle saw it laid level with that earth that was too good to bury those wretches that were the cause of it. The father of our George was Richard Herbert, the son of Edward Herbert, Knight, the son of Richard Herbert, Knight, the son of the famous Sir Richard Herbert of Colebrook, in the county of Monmouth, Banneret, who was the youngest brother of that memorable William Herbert, Earl of Pembroke, that lived in the reign of our King Edward the Fourth. His mother was Magdalen Newport, the youngest daughter of Sir Richard, and sister to Sir Francis Newport of High Arkall, in the county of Salop, Knight, and grandfather of Francis Lord Newport, now Controller of his Majesty’s Household. A family that for their loyalty have suffered much in their estates, and seen the ruin of that excellent structure where their ancestors have long lived, and been memorable for their hospitality. This mother of George Herbert—of whose person, and wisdom, and virtue, I intend to give a true account in a seasonable place—was the happy mother of seven sons and three daughters, which she would often say was Job’s number, and Job’s distribution; and as often bless God, that they were neither defective in their shapes nor in their reason; and very often reprove them that did not praise God for so great a blessing. I shall give the reader a short account of their names, and not say much of their fortunes. Edward, the eldest, was first made Knight of the Bath, at that glorious time of our late Prince Henry’s being installed Knight of the Garter; and after many years’ useful travel, and the attainment of many languages, he was by King James sent ambassador resident to the then French king, Lewis the Thirteenth. There he continued about two years; but he could not subject himself to a compliance with the humours of the Duke de Luisens, who was then the great and powerful favourite at court: so that upon a complaint to our King, he was called back into England in some displeasure; but at his return he gave such an honourable account of his employment, and so justified his comportment to the Duke and all the court, that he was suddenly sent back upon the same embassy, from which he returned in the beginning of the reign of our good King Charles the First, who made him first Baron of Castleisland, and not long after of Cherbury in the county of Salop. He was a man of great learning and reason, as appears by his printed book De Veritate, and by his History of the Reign of King Henry the Eighth, and by several other tracts. The second and third brothers were Richard and William, who ventured their lives to purchase honour in the wars of the Low Countries, and died officers in that employment. Charles was the fourth, and died fellow of New College in Oxford. Henry was the sixth, who became a menial servant to the crown in the days of King James, and hath continued to be so for fifty years; during all which time he hath been Master of the Revels, a place that requires a diligent wisdom, with which God hath blessed him. The seventh son was Thomas, who, being made captain of a ship in that fleet with which Sir Robert Mansell was sent against Algiers, did there show a fortunate and true English valour. Of the three sisters I need not say more than that they were all married to persons of worth and plentiful fortunes; and lived to be examples of virtue, and to do good in their generations. I now come to give my intended account of George, who was the fifth of those seven brothers. George Herbert spent much of his childhood in a sweet content under the eye and care of his prudent mother, and the tuition of a chaplain, or tutor to him and two of his brothers, in her own family,—for she was then a widow,—where he continued till about the age of twelve years; and being at that time well instructed in the rules of grammar, he was not long after commended to the care of Dr. Neale, who was then Dean of Westminster; and by him to the care of Mr. Ireland, who was then chief master of that school; where the beauties of his pretty behaviour and wit shined, and became so eminent and lovely in this his innocent age, that he seemed to be marked out for piety, and to become the care of heaven, and of a particular good angel to guard and guide him. And thus he continued in that school, till he came to be perfect in the learned languages, and especially in the Greek tongue, in which he after proved an excellent critic. About the age of fifteen—he being then a King’s scholar—he was elected out of that school for Trinity College in Cambridge, to which place he was transplanted about the year 1608; and his prudent mother, well knowing that he might easily lose or lessen that virtue and innocence which her advice and example had planted in his mind, did therefore procure the generous and liberal Dr. Nevil, who was then Dean of Canterbury, and master of that College, to take him into his particular care, and provide him a tutor; which he did most gladly undertake, for he knew the excellencies of his mother, and how to value such a friendship. This was the method of his education, till he was settled in Cambridge; where we will leave him in his study, till I have paid my promised account of his excellent mother; and I will endeavour to make it short. I have told her birth, her marriage, and the number of her children, and have given some short account of them. I shall next tell the reader that her husband died when our George was about the age of four years: I am next to tell, that she continued twelve years a widow; that she then married happily to a noble gentleman, the brother and heir of the Lord Danvers, Earl of Danby, who did highly value both her person and the most excellent endowments of her mind. As I have seen in an autumnal face. You may at revels, or at council sit. The rest of her character may be read in his printed poems, in that elegy which bears the name of “The Autumnal Beauty.” For both he and she were then past the meridian of man’s life. “Your favours to me are everywhere: I use them and have them. I enjoy them at London, and leave them there; and yet find them at Mitcham. Such riddles as these become things inexpressible; and such is your goodness. I was almost sorry to find your servant here this day, because I was loth to have any witness of my not coming home last night, and indeed of my coming this morning. But my not coming was excusable, because earnest business detained me; and my coming this day is by the example of your St. Mary Magdalen, who rose early upon Sunday to seek that which she loved most; and so did I. And, from her and myself, I return such thanks as are due to one to whom we owe all the good opinion that they, whom we need most, have of us. By this messenger, and on this good day, I commit the enclosed holy hymns and sonnets—which for the matter, not the workmanship, have yet escaped the fire—to your judgment, and to your protection too, if you think them worthy of it; and I have appointed this enclosed sonnet to usher them to your happy hand. But think these Magdalens were two or three. Harbour these Hymns, to his dear name addrest. These hymns are now lost to us; but doubtless they were such as they two now sing in heaven. There might be more demonstrations of the friendship, and the many sacred endearments betwixt these two excellent persons,—for I have many of their letters in my hand,—and much more might be said of her great prudence and piety; but my design was not to write hers, but the life of her son; and therefore I shall only tell my reader, that about that very day twenty years that this letter was dated and sent her, I saw and heard this Mr. John Donne—who was then Dean of St. Paul’s—weep, and preach her funeral sermon, in the Parish Church of Chelsea, near London, where she now rests in her quiet grave: and where we must now leave her, and return to her son George, whom we left in his study in Cambridge. Wear Venus’ livery? only serve her turn? Will not a verse run smooth that bears thy name? Than that, which one day, worms may chance refuse? A pair of cheeks of them, is thy abuse. Why should I women’s eyes for crystal take? This was his resolution at the sending this letter to his dear mother, about which time he was in the seventeenth year of his age; and as he grew older, so he grew in learning, and more and more in favour both with God and man: insomuch that, in this morning of that short day of his life, he seemed to be marked out for virtue, and to become the care of Heaven; for God still kept his soul in so holy a frame, that he may, and ought to be a pattern of virtue to all posterity, and especially to his brethren of the clergy, of which the reader may expect a more exact account in what will follow. I need not declare that he was a strict student, because, that he was so, there will be many testimonies in the future part of his life. I shall therefore only tell, that he was made Minor Fellow in the year 1609, Bachelor of Arts in the year 1611; Major Fellow of the College, March 15th, 1615: and that in that year he was also made Master of Arts, he being then in the twenty-second year of his age; during all which time, all, or the greatest diversion from his study, was the practice of music, in which he became a great master; and of which he would say, “That it did relieve his drooping spirits, compose his distracted thoughts, and raised his weary soul so far above earth, that it gave him an earnest of the joys of heaven, before he possessed them.” And it may be noted, that from his first entrance into the college, the generous Dr. Nevil was a cherisher of his studies, and such a lover of his person, his behaviour, and the excellent endowments of his mind, that he took him often into his own company; by which he confirmed his native gentleness: and if during his time he expressed any error, it was that he kept himself too much retired, and at too great a distance with all his inferiors; and his clothes seemed to prove that he put too great a value on his parts and parentage. This may be some account of his disposition, and of the employment of his time till he was Master of Arts, which was anno 1615, and in the year 1619 he was chosen Orator for the University. His two precedent Orators were Sir Robert Naunton and Sir Francis Nethersole. The first was not long after made Secretary of State, and Sir Francis, not very long after his being Orator, was made secretary to the Lady Elizabeth, Queen of Bohemia. In this place of Orator our George Herbert continued eight years; and managed it with as becoming and grave a gaiety as any had ever before or since his time. For “he had acquired great learning, and was blessed with a high fancy, a civil and sharp wit; and with a natural elegance, both in his behaviour, his tongue, and his pen.” Of all which there might be very many particular evidences; but I will limit myself to the mention of but three. Quid Vaticanam Bodleianamque objicis, hospes! Unicus est nobis Bibliotheca Liber. This letter was writ in such excellent Latin, was so full of conceits, and all the expressions so suited to the genius of the King, that he inquired the Orator’s name, and then asked William, Earl of Pembroke, if he knew him? whose answer was, “That he knew him very well, and that he was his kinsman; but he loved him more for his learning and virtue than for that he was of his name and family.” At which answer the King smiled, and asked the Earl leave that he might love him too, for he took him to be the jewel of that university. Bella, tibi causa est, Araque sacra mihi. I shall not trouble my reader with an account of his enlargement from that prison, or his death; but tell him Mr. Herbert’s verses were thought so worthy to be preserved, that Dr. Duport, the learned Dean of Peterborough, hath lately collected and caused many of them to be printed, as an honourable memorial of his friend Mr. George Herbert, and the cause he undertook.